With Justin-Siena High School in Napa, CA, leading the way, several Lasallian schools teamed up for the third annual Change for Our World Fundraiser. This year, it focused on literacy and, in addition to benefiting students in Africa’s Lwanga District, it also helped students at DeMarillac Academy in San Francisco, CA. Justin-Siena collected almost $9,000 and 1,450 books with help from Saint Paul’s School in Covington, LA, and Christian Brothers High School in Sacramento, CA. In response to a 2012 survey of Lwanga schools on literacy needs, Justin-Siena student leaders selected Nativity School in Shinara Village, Eritrea as the main recipient of this effort, which will use the nearly $7,800 donated to build a new library. DeMarillac received approximately $650 and 1,450 books. Justin-Siena gave $500 to its designated twin school, St. Joseph’s School in Nazareth, Ethiopia. Each year, Change for Our World focuses on a different need and social justice issue. 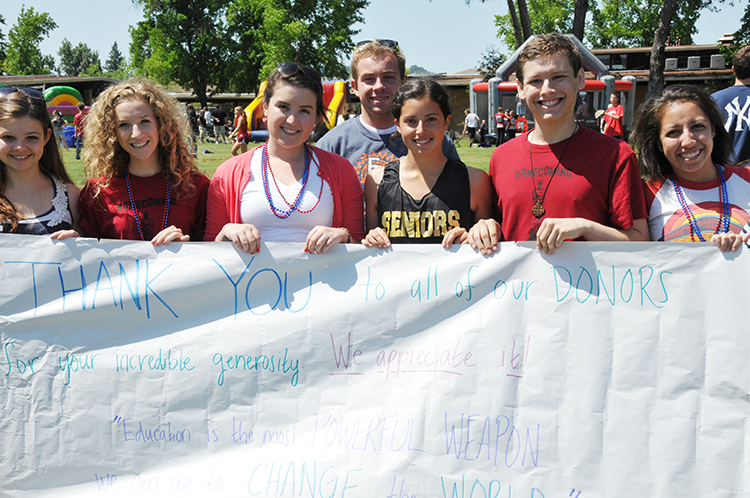 The fundraiser started in 2011 in response to ideas from students who attended the Lasallian Convocation on the Rights of the Child at the United Nations in April 2010. With the help of various Lasallian schools, the first fundraiser brought in about $25,000 which was used to buy 3,300 mosquito nets for five Lasallian schools in Ethiopia, Eritrea, and Kenya. The second collected approximately $20,000 which was sent to St. Joseph’s School in Nazareth and St. Joseph’s School in Addis Ababa to fund the creation of two wells, which is now underway.